The platform is supported by the Autodesk Foundation, Qualcomm® Wireless Reach™, and Tata Trusts. The event convened leaders from these organizations, as well as the Mulago Foundation and the Climate and Clean Air Coalition, to address the global energy gap by delivering scalable solutions for climate and clean energy. One major challenge in the clean energy sector is poor in-home energy consumption. Close to three billion people worldwide cook and heat their homes with open fires fueled by biomass, kerosene, or coal. The smoke from these traditional cooking methods contribute to illnesses that lead to 3.8 million deaths per year, and cause severe environmental impacts. While improved cookstoves offer a cleaner, safer alternative to cooking over fires, most interventions have failed in helping rural families make a long-term transition to healthier technologies. Over the past nine years, Nexleaf has implemented its IoT sensor-based monitoring platform, StoveTrace, across multiple communities in India. StoveTrace gathers temperature data of improved cookstoves to determine usage patterns and generate insights on user preferences to facilitate adoption of improved cookstoves. Nexleaf works to realign the sector around the needs and design preferences of the users by amplifying the voices of the communities served. With this approach, Nexleaf has witnessed 90 percent sustained usage of improved cookstoves – a rate previously unseen in the sector. Nexleaf now plans to build upon the initial impact generated by the StoveTrace platform by expanding its reach in India to deliver broader coverage. Expert designers will develop a new device Trek, a Bluetooth-based monitoring technology, for use in remote areas lacking reliable connectivity. Design expertise is made possible by the Autodesk Foundation, whose mission is to support the design and creation of innovative solutions to the world’s most pressing social and environmental challenges. 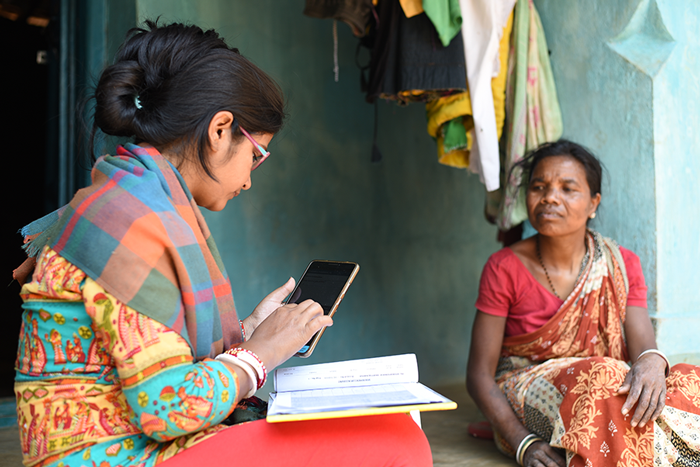 Qualcomm® Wireless Reach™, a long-time supporter of the StoveTrace program, will support data collection and implementation efforts through both funding and the use of devices that use Qualcomm Technologies. “The long-standing partnership between Qualcomm Wireless Reach and Nexleaf has established a new proven model for clean cookstove adoption, sustained by four pillars: a cleaner cookstove, sensors for continuously tracking usage, entrepreneurial support on the ground, and mobile money payments for rewarding clean cookstove usage. We look forward to seeing this innovative platform grow to provide critical evidence needed to scale up long-term solutions.” said Angela Baker, Director Corporate Responsibility at Qualcomm. Nexleaf, with the support from these critical partners, will continue to pioneer tools for bringing transparency, accountability, and alignment to the clean cooking sector. This platform will generate the evidence needed for industry leaders to steer the cookstove sector towards long-term success. Nexleaf Analytics is a non-profit organization that preserves human life and protects the planet by designing sensor technologies, generating data analytics, and advocating for data-driven solutions to global challenges.